​Accidents can happen, particularly when travelling by car. Whether you are just going out for a ride with your pet or moving to a new place, it is important that you keep your passengers and your pet safe in case of an unfortunate car accident. Installing a durable, crash-resistant dog cage on your car will keep your pet restrained in place and prevent them from projecting forward in the instance of a crash. ​4x4 North America’s MIM Safe Variocage Double Crash Tested Dog Cage is the top dog of the toughest pet cages available in the market. It is the only double crash test certified dog cage, so it is the most ideal pet cage to install on your car for travelling with your pets. Also, the Variocage Double is available in different adjustable sizes that can fit into any car or truck model without having to modify anything. Made of heavy duty, antirust treated, and powder-coated ASTM A366 gauge steel. Comes in various adjustable sizes to accommodate small, medium, and large dogs. The only crash-test certified dog cage using government safety standards (ISO 27955, ECE R-17, ECE R-44, SPCT). Crash-tested for roll-over, front, and rear protection with a decade-long perfect safety track record. One-hand quick door release with an emergency escape rear hatch. 2 doors with gas hydraulic motion spring locks and removable center divider. Automatic door stop with pneumatic assist, built-in key lock, and padlock mounting tabs. Built-in crumple zone and ribbed rubber mat at the cage’s bottom for impact absorption. Easy to install using load-tested tie-down straps with no vehicle modification required. The MIM Safe Variocage Double is delivered unassembled, so you have to assemble it together based on the assembly instructions provided with the package. The Variocage is pretty easy to install on the back of your car. You just have to connect the tie-down straps securely to the car’s cargo anchor points. No complicated procedure, no modifications, and no extra hardware requirement. Just by looking at its construction, the Variocage is a sturdy and comfortably spacious pet cage. A large Variocage Double can provide enough space for a large dog or up to two small and medium-sized dogs. As long as you get the right cage size for your dog’s size, there will be enough room for them to stretch and lounge around. The doors have an auto stop function and hydraulic powered locking system with built-in key locks that are secure so your pets can’t escape if they try to or won’t pop open under pressure. The center divider can also be removed or adjusted based on the space needs of your dogs. If you have two dogs with different sizes, you can easily adjust one side of the cage to be bigger or more spacious than the other side. Its design, though can look quite intimidating because of the sturdy features, is neat and without any useless frills. Its overall look speaks directly of its essence—durable, functional dog cage for travel use. And because it is literally the only crash test certified pet cage, it is definitely the most trusted choice for travel pet cages. Its material construction, though not made of stainless steel, is made of the best quality powder-coated ASTM A366 gauge steel. Compared to other dog cages that are simply made of wire mesh and plastic, Variocage is physically the most durable pet cage that can provide reliable safety. 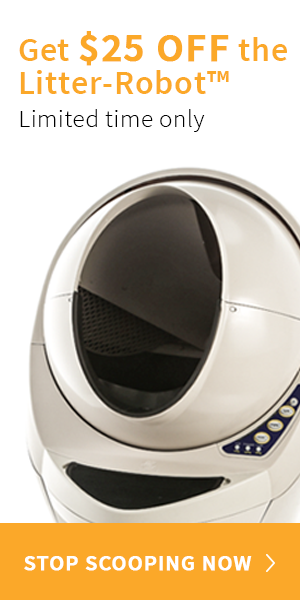 The Variocage also allows for convenient add-ons to be placed in the cage like leash hooks and spill-proof water bowls. If durability, functionality, design, cost-efficiency, and safety make up a five-star rating, then the Variocage Double is definitely a five-star product. Its crash test certification alone is an obvious telltale sign of its reliable, value-for-money attributes that will never make you regret buying it for your beloved pets. Previous articleInsulated Dog Houses For Large Dogs – Let Keep Your Dog Warmth !